After a short wait (it’s just a 6 weeks compare to Apple iPhone 5 3 months waited) since the Samsung event at New York, I’m sure Samsung and Android fans are waiting for it come to Malaysia. Finally it has just came and I’m preparing the comparison chart in compare all 4 giant telcos offer as well as any related information. Currently there are 12 months, 18 months and 24 months contract offered, and this will be a very long post. (Due to it’s a very long post, so I’ve separated the 24 months to another post and will be published later.) I’ll begin from 12 months contract. Compare 18 Months, but only Celcom offer it. **Once allocated data volume finished in Maxis TalkMore, you will be charged pay per use (RM 0.10/10KB) until next billing cycle. While in Celcom your usage will be blocked unless you purchase additional volume. Generally I would say Maxis plans offer better value in call and sms. For 12 months contract Galaxy S4, Maxis is winner. I’m working in 24 months comparison chart, please do not forget to check back later. If you a current Apple iPhone user and want to move to Samsung Galaxy S4, don’t miss the tips and tutorial ‘Moving From an iPhone to the Galaxy S4 – Tips and Advice‘ from our guest poster Reese Jones. This entry was posted in Communication and tagged Celcom, DiGi, galaxy s4, Maxis, Samsung, U Mobile on April 27, 2013 by RMvalues. 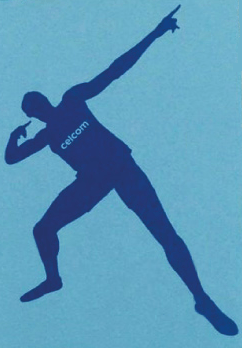 Celcom is launching 4G LTE on Tuesday 23rd April 2013. First 1,000 registrant will be able to purchase Celcom 4G dongle for a special price RM 199. First 3 months access fee waived! Save RM 414! I’m sure a lots of Apple iPhone 5 users are waiting for this, as Maxis has support 1800MHz, and Maxis users can enjoy LTE in certain area, but I’m disappointing you that Celcom 4G LTE is only support 2600MHz at this moment. This entry was posted in Communication and tagged 4G, Celcom, iPhone, LTE on April 19, 2013 by RMvalues.